The Oshmyany synagogue in present-day Belarus. 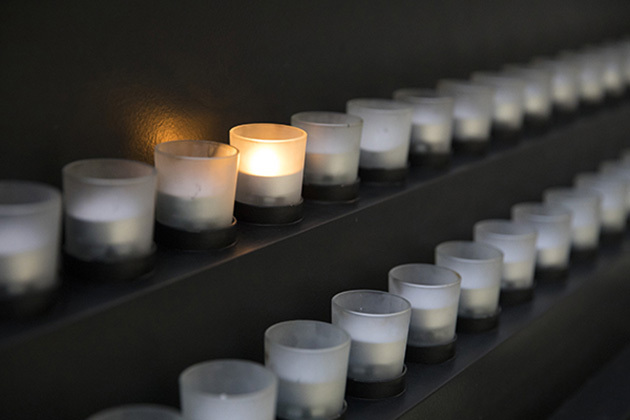 Individuals planning trips to Europe often express an interest in visiting what remains of the concentration camps or seeing one of the museums or monuments to the millions who died during the Holocaust. Finding out where these sites are located or what remains to be seen, however, can sometimes prove difficult. Though standard travel guides usually include some mention of major camps or Holocaust-related sites, they regularly ignore smaller facilities or other Jewish heritage sites. As an alternative, one can often find information about the full range of sites in guides geared specifically toward the Jewish traveler. These specialized travel books tend to explore in greater detail a region’s Jewish history and examine the impact of the Holocaust on the local Jewish community, both describing the tragic loss of life then and attesting to the slow rebirth of Jewish culture. Though described as guides to "Jewish travel," they can be of help to any traveler interested in visiting places related to the Holocaust. The following bibliography was compiled to guide readers to materials on Holocaust-related travel that are in the Library’s collection. It is not meant to be exhaustive. Annotations are provided to help the user determine the item’s focus, and call numbers for the Museum’s Library are given in parentheses following each citation. Those unable to visit might be able to find these works in a nearby public library or acquire them through interlibrary loan. Follow the “Find in a library near you” link in each citation and enter your zip code at the Open WorldCat search screen. The results of that search indicate all libraries in your area that own that particular title. Talk to your local librarian for assistance. Provides in depth analysis of Jewish history and culture across more than 30 European countries. Presents views of the diversity of Jewish culture from one corner of the continent to another. Includes illustrations, a glossary, and endnotes. A guide to Jewish sites in twenty different European countries. Reviews Jewish history in each country and then identifies and describes its significant cultural and historical sites, including synagogues, museums, and kosher restaurants. Focuses primarily on large cities or major Jewish communities. Includes a selected reading list for each country, numerous photographs, and an index. Describes Jewish sites by city within six different countries or regions in East-Central Europe. Provides a brief historical survey of Jewish life for each area. Lists the main Jewish communities and Jewish facilities, including kosher restaurants. Provides general travel information, as well as helpful phrases, simple country maps, and some photographs. Also includes a brief bibliography and an index. Presents general Jewish information about nineteen different countries or regions in Western Europe, with considerable information provided about France, Germany, Italy, and Spain. Lists synagogues, mikva’ot, and kosher restaurants by city. Also identifies a selection of non-Jewish museums and places of interest. Includes maps, photographs, Sabbath timetables, a brief bibliography, and an index. Identifies, locates, and describes thousands of major and minor sites throughout Europe, including Jewish cemeteries and small memorials to Holocaust victims. Opens each country’s section with an overview of its Jewish history up to 1971. Includes thirty-five photographs and an index. A detailed travel guide to concentration camps, memorials, and other sites related to the Third Reich and the Holocaust. Provides a map and directions for reaching each site via car, bus and train, contact information, hours of operation, entrance fees, tour provisions, and a description of what remains at each site today. Includes numerous maps, photographs, travel tips, helpful Web sites, and an index. Describes Jewish sites of interest in over 110 countries throughout the world. Provides a brief summary of Jewish history in each country, followed by a town-by-town listing of synagogues, museums, libraries, organizations, hotels, restaurants, grocers, bakeries, mikva’ot, etc. Includes a list of kosher fish worldwide, an abridged Jewish calendar, and an index. Presents information on the history of the Jews in Poland and insights into the relics and remnants that exist today. Offers information on large cities and smaller towns across multiple regions of Poland. Includes color illustrations, contact information for tourist destinations, a bibliography, glossary, and an index. Reviews the history of Jewish settlement in the Czech Republic and briefly examines the history and character of Jewish ghettos, synagogues and cemeteries in the region. Describes some of the best-preserved and significant historical monuments located in 138 Jewish communities. Includes many photographs and illustrations, a glossary, and an index. Describes the Jewish communities the author encountered as he traveled in the footsteps of a twelfth century rabbi. Provides for each city a brief description of its Jewish history and a focused bibliography. Highlights notable Jews, identifies local cultural and historical sites, and lists community centers, synagogues, schools, organizations, restaurants, etc. Includes numerous photographs and an index. Reviews the history and culture of Polish Jewry. Provides a town-by-town list of synagogues, cemeteries, and other places of Jewish heritage. Includes a chronology of Jewish history in Poland, numerous photographs, maps, addresses of Jewish organizations, practical information for travel in Poland, a bibliography, and an index. A guidebook containing a brief introduction to Poland’s Jewish history and culture, a glossary of Polish Jewry, and descriptions of sites of Jewish historical interest in Cracow, Lodz, Lublin and Warsaw. Offers practical advice for travelers to these areas. Lists and describes a variety of sites of Jewish interest throughout France, including those with notable ties to the Holocaust, such as Drancy, the Vélodrome d’Hiver, Gurs, and Naztweiler-Struthof. Also reviews French Jewish history, with a separate section on the World War II period. Arranged by region, with one chapter focused on Paris. Includes numerous photographs and maps, along with a short bibliography, and an index. A guide to Jewish sites in 186 towns and cities in Germany. Provides for each entry its geographic location, significant cultural or historical sites, and an overview of its history. Supplements these entries with practical travel tips, a chronology of German Jewish history, a glossary, an introduction to Hebrew letters and numbers, regional maps, numerous color photographs, and an index. A directory and travel guide to sites of interest in Hungary. Lists the names and contact information for Jewish organizations, foundations, social groups, cultural institutions, schools, publications, restaurants, and shopping. Provides a guide to Jewish sites in Budapest, including synagogues, cemeteries, and monuments, and lists notable sites in the small towns and villages of the Hungarian countryside. Includes history of the Jews in Hungary, maps, and color illustrations. A systematic survey of Jewish settlements in Italy, broken down first by region, then by city. Reviews Jewish history in each region and describes the synagogues, museums, cemeteries, and other cultural or historical sites for each location listed. Includes numerous photographs, a bibliography, a glossary, and contact information for tourist sites. A comprehensive guide to synagogues and other sites of Jewish interest throughout Greece. Provides detailed maps, photos, history and visitor information for synagogues in fifteen cities. Includes a glossary, index, and bibliography for further reading. Illustrated guide to 100 buildings, memorial sites, streets, cemeteries, and synagogues that assists visitors in finding important locations in the history of the Jewish community in Vilnius, Lithuania. Includes historical and present-day photographs as well as a detailed map highlighting each location. Describes the various synagogues, historical ghettos, and the Jewish cemetery of Venice. Includes color illustrations, a chronology, and a bibliography. A brief travel guide offering self-guided walking tours around Cracow’s Jewish District, including sites related to Oskar Schindler’s factory and the Plaszów concentration camp. Includes maps, illustrations, and recommendations for visitors to the city, and contact information for Jewish cultural organizations. Provides six different self-guided walking tours of Jewish Warsaw. Supplements these tours with background information about Polish and Jewish history. 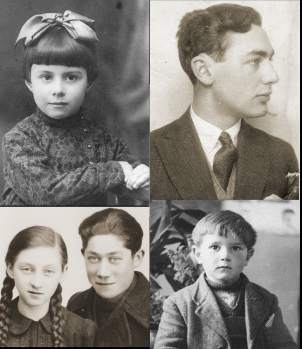 Specifically reviews Jewish history in Warsaw and identifies famous Jews from the community. Also lists some non-Jewish sites of note. Includes maps and illustrations. An illustrated guidebook to over fifty historical sites in Warsaw. Includes a timeline of Warsaw’s Jewish history and a map of notable sites. Presents the history of the ghetto and Jewish community in Trebíc and describes its various buildings and monuments. Includes illustrations, an index of addresses, and a bibliography. Discusses the architecture and the history of the buildings in the former Jewish Quarter in Budapest. Includes recent color photographs of the area. A booklet that offers a walking tour of Lublin’s major Jewish landmarks, including the Old and New Jewish Cemeteries, the Monument to the Victims of the Lublin Ghetto, and the Grodzka Gate. Features photographs and tourist information for many landmarks. Offers five distinct walking tours of the Jewish quarter of Kraków. Includes a chapter on the history and development of Kazimierz and color illustrations of the buildings today. Includes maps, contact information for tourist destinations, and an index. Describes the history of the Jews of Łódź, and offers some brief biographical sketches of famous Jews from the community. Provides four different self-guided walking tours with maps and illustrations. Provides three distinct travel itineraries through the Jewish remnants of the Marche region of Italy. Includes photographs, a bibliography, a glossary, and an index of places. Provides walking tours through various areas of Rome, and describes multiple excursions to Jewish sites in nearby towns. Includes photographs, a glossary, bibliography, and contact information for tourist destinations. Guidebook and walking tour to 15 locations in the former ghetto in Cracow. Includes detailed descriptions of each location and the events that occurred there during the Holocaust. With historical and contemporary photographs, a map, contact information for various historical sites, and a select bibliography for further reading. Reviews Berlin’s Jewish history and describes its present Jewish character. Describes the city’s memorials, museums, and cultural sites, and lists synagogues, cemeteries, organizations, services, events, and restaurants. Includes a special section on sites related to the Third Reich and a chapter focusing on researching Jewish genealogy and property claims in Berlin. Provides maps, numerous photographs, and an index. Relates Amsterdam’s Jewish history and describes the city’s Jewish Quarter as well as other sites of Jewish historical and cultural interest in the area. Includes numerous photographs, a map, a guide to Jewish cemeteries, and an index. Contains history of the Jews, the ghetto synagogues, and information on items located in the Jewish museum in Ferrara, Italy. Includes a bibliography and color illustrations. Focuses on Jewish history and culture in Lublin. Contains three different self-guided walking tours around Lublin, as well as four car excursions ranging from 100 to 300 km. Describes both Jewish and non-Jewish sites of note. Provides a chronology of general Polish history and reviews Jewish history in Lublin, listing famous Jews from the community. Includes maps and illustrations. Presents the history of the Jewish community in Lublin via a walking tour. Combines vintage and recent photographs with anecdotes and historical events of the city. Provides in depth history and cultural context of the Jewish communities in four cities. Each section includes tourist information on sites of interest, keeping kosher, and Jewish prayer options. Contains an appendix on concentration camps, a glossary, bibliography, and an index. Provides detailed sightseeing suggestions and walking tours for Bialystok and Tykocin, as well as descriptions of Jewish sites in over 30 other towns in the Bialystok region. Includes a survey history of the area, lists of names found in Jewish cemeteries, brief biographies of notable Bialystok Jews, maps, a glossary, and practical recommendations for travelers.